Deciding to pursue divorce is one of the most difficult and emotional decisions a person will ever make. Life as you know it will change forever for you, your spouse and your children. Besides affecting your children, divorce also involves property, business and legal questions that must be resolved. An experienced family law attorney will help you to understand the basic issues and use a rational perspective to approach the divorce planning process. Call our divorce attorneys at 972-744-0445 or contact The Wortham Law Firm online. We are located in Dallas, Texas, and we help clients in the surrounding area, including Plano. If you think it might be time to dissolve your marriage and move on to the next stage of your life, our divorce attorneys can help you. For more than 25 years, we have successfully represented divorce clients throughout North Texas. We work closely with our clients to help them understand their rights and options regarding parenting and property settlement. Our goal is to make sure you understand and are prepared for your divorce and your life. We take the time to listen to you, your concerns, your questions and your goals. We are strong advocates for our clients, exhausting every opportunity to achieve their goals and meet their needs without putting them through the trauma of a courtroom battle. 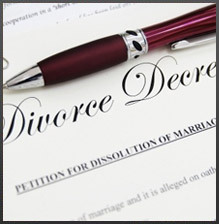 Our Dallas divorce attorneys have a great deal of experience successfully guiding clients through the divorce process. Unfortunately, there are cases when solutions cannot be reached outside of litigation. If your case cannot be resolved through negotiation or alternative dispute resolution, we will be aggressive for you in court. Texas divorce law allows for "no-fault" divorces, where either member of the couple may obtain a divorce, even if the other party does not consent to the divorce. However, if one party is at "fault" (adultery and cruel treatment could constitute fault) for the breakup of the marriage, the court may take that into consideration in determining what is an "equitable" division of the property. Hiring an experienced divorce attorney can save you time, money and future problems. If you are searching for a lawyer who is dedicated to achieving optimal results in a cost-effective manner, contact The Wortham Law Firm at 972-744-0445.